It’s a new year, which is a perfect time to give your home a new look boost. Once those Christmas decorations are down, the front of your home can look a little bland. Let’s dress up that mailbox a little and watch the difference that makes. Even your mailbox is part of your curb presence. A simple mailbox makeover can add value and appeal to your home. Do check with your local post office if you are planning to re-position the mailbox. Does your home need a more stately entrance, or is a casual style the way to go? Do you like a more natural look or do you prefer a pop of color? Do you like natural wood, stone, painted wood, or brick as your basic building material? 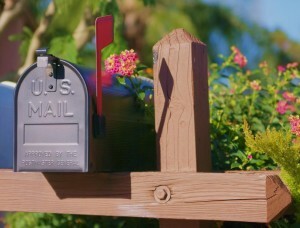 Do you want the mailbox to blend into the current landscape or stand out as a statement about your home? Is this makeover a minor change that can be done in a weekend, or do you need to contract out for some help? Sometimes just a fresh coat of paint and some unique hardware can make all the difference. 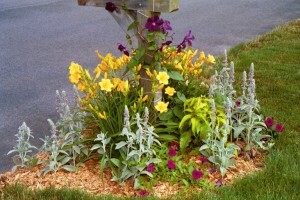 Add a planter for colorful flowers on the back of your mailbox post. “Plant” you mailbox in a bed of beauty. Sometimes a post is just not enough. Make a more powerful statement. You only get one shot at a first impression; make it count! Remember your home is your sanctuary.